Webandcrafts Company is one of the web based solution provider in Infopark Thrissur, Koratty, Kerala, India is a global IT solutions organization, founded by Abin Jose Tom, an engineer who is 24 years old. Webandcrafts is an absolute package for those looking to be distinct from the rest, as the work done by us is not only unique but also globally competitive. Our company provides you the most affordable, reliable, flexible, and efficient hosting services. We offer varied plans catering to all kind of your requirements that will act as a catalyst in pushing your business forward. We provide premium-hosting plans, to ensure zero downtime for your server, in conjunction with reliable, superior, and timely support. We have our own Server, which is completely efficient, robust, safe, secure, and protected with several authentication methods to save the data from any external harm. SEO, SMO, Responsive Website, Mobile Optimization strategies; Website ranking is a vital element in increasing the visibility of a website in search engine results. Webandcrafts believes in delivering value to the customer and not just mere services. This is why we name ourselves ‘Value Creators’. Each employee is trained to understand how exactly the customer wishes the service to be and thus comprehends and works in alignment to the customer’s needs. We believe in creating followers, which we depict in each service we deliver. Within a short duration of time, stepping on to this competitive web industry we have left our traces with our working methodologies, competencies, and an urge to achieve. Webandcrafts renders to deliver solutions to all kind of web problems be it designing, developing, internet marketing; we create solutions to all your web needs and that is why we say ‘We Do Not Design Products We Design Dreams’. Honesty and Quality plays an effective role in the way of our success. As honesty helps in keeping all accounts clear and straight, observing all the rules and regulations set etc., supports social service organizations and charity movements and also offers free hosting and website design support to all the social service organizations in the State, work executed keeping in mind the growth of the company, prompt delivery of services at reasonable prices and dedication to the career we have chosen. On the other hand, all Quality products with advanced features, Quality satisfaction from customers in all respects, at every stage, last but not the least the more we are sincere in these mentioned precepts, the more Grace we have. Our roadmap is to enter the world of Mobile applications Development. We plan to touch all major mobile platforms like ios, android, blackberry etc. 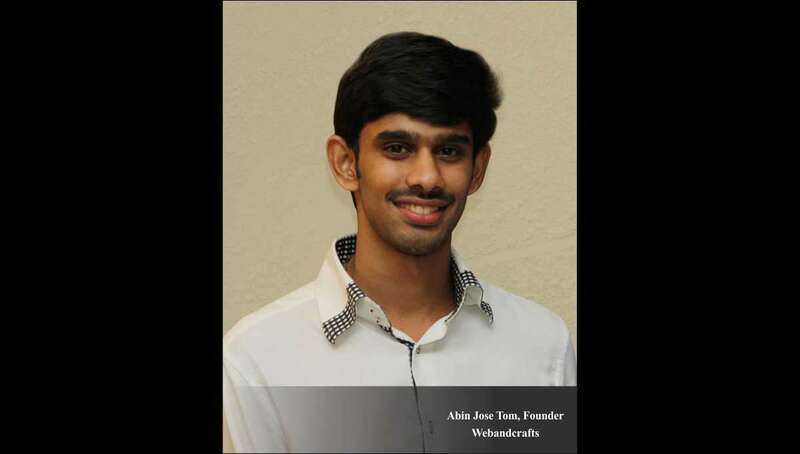 Abin Jose Tom have a big dream of growing the company to such a profile at where it could feed all energetic and enthusiastic guys around.